On 18 August 2015, Minority Rights Group International (MRGI) and Anti-Slavery International released a joint statement regarding Mauritania’s new anti-slavery legislation as activists remain skeptical about the government’s commitment to combatting slavery, and stressed that the new law will be inconsequential if not duly implemented. Mauritania declared slavery illegal and a crime against humanity in 2007, but lack of political and judicial will to enforce the law has maintained status quo. The debate over the new law comes amidst continued government crackdown on anti-slavery activists and the freedom of association for human rights NGOs. 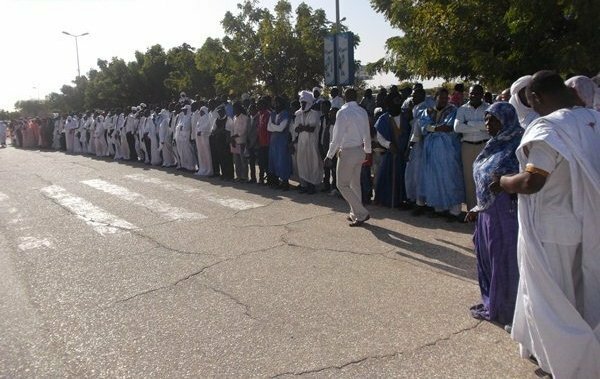 Minority Rights Group International (MRGI) and Anti-Slavery International welcomed the adoption of a new anti-slavery law in Mauritania but said that it will be worthless if it is not implemented. Slavery has been criminalised in Mauritania since 2007 but only one conviction has so far been achieved, and the perpetrator not only was handed a sentence of less than the legal minimum provided by the law, but also walked free pending an appeal that has never taken place.